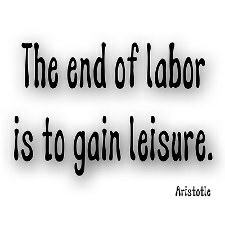 Today is Labor Day. A day when, here in the U.S., we celebrate Labor Day. Historically, this was to honor the “labor” movement, although now it seems to be more symbolic of the end of summer and barbecues. However, in my circle we honor “labor day” in a very different way. Years ago we used to have a bumper sticker in our birthing unit that said “Honor Labor”. It is a perfect play on words. I haven’t yet mentioned this but I have just gone back to work. This may not seem significant but it is actually quite huge for me. If you have been following along for a while you may remember that shortly before Thanksgiving I slipped down the stairs here at the house and seriously wrecked my shoulder. I had to wait until February to have it repaired due to the swelling and injury. Because my work is so physical, I really had to be close to 100% before going back. It is not 100% yet but It has been a VERY long and stressful year because of this. Although I have to say that Alexander has thoroughly enjoyed the last few months with me being home. He did NOT like the acute injury and post op time, of course. The good news about going back to work is that I am so happy to be back and I appreciate it so much. Not that I haven’t always loved it, but I have a new appreciation for the wonderfully grounding effect being able to share in the intimate experience of birth has on me. I look forward to sharing more with you. Enjoy your official last day of summer.